To mark its 35th anniversary, Spoleto Festival USA, Charleston's two-and-a-half week celebration of the arts, will present one of its largest and most diverse programs ever. Scheduled for May 27 through June 12, Spoleto, as always, will be a cornucopia of international offerings, some classic, others way out there. The genre of opera is especially strong this year, with Mozart's "The Magic Flute"; "Emile," by famed Finnish composer Kaija Saariaho; and, in celebration of what would be the 100th birthday of Spoleto founder Gian Carlo Menotti, one of his most compelling operas: "The Medium." The theater lineup mirrors the annual festival's propensity toward Irish and British productions, with Ireland's renowned Druid Theater presenting its award-winning "The Cripple of Inishmaan." Kneehigh Theatre's contribution is its presentation of Hans Christian Anderson's "The Red Shoes." 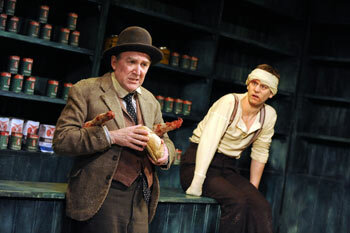 And there are arresting, smaller-scale productions as well, held in diminutive theaters. For example, Greenwich Village icon Edgar Oliver weaves an eccentric monologue about his decades in a decaying New York boarding house populated by misfits and other assorted losers. Anyone who has spent time in the Village will want to see this engrossing, solo show titled "East 10th Street." Under the heading of music theater, "The Gospel at Colonus" manages to marry agony with ecstasy. This soul-stirring sampling of African-American gospel music has elements of Greek tragedy. But were the classical Greeks ever into foot stomping? The 2011 dance series highlights Shen Wei Dance Arts' exploration of Asian culture; the exhilarating Spanish Corella Ballet; and an intimate, visual biography of contemporary dancer Cédric Andrieux. The music part of the program centers around the Bank of America Chamber Music series, featuring a wide range of performers who have played at Spoleto over the years. The Spoleto Festival USA Orchestra will perform a concert featuring the works of Strauss, Debussy and Prokofiev while a longtime festival favorite, The Westminster Choir, will offer its traditional a cappella concerts. The Wells Fargo Jazz series features diverse and exciting musical styles. Contemporary circus is a spectacle that comes to Spoleto every few years. This time, it is Australia that has sent its most innovative company, Circa, which combines heart-stopping acrobatics with edgy choreography and cheeky, Aussie humor. For the second year, the Finale at Middleton Place will not be a classical concert. Clap your hands to and for the Del McCoury Band, down-home, bluegrass boys. As always, pack a picnic and, later on, marvel at the spectacular fireworks display that will close out yet another Spoleto season. If you love the performing arts, you should experience Spoleto at least once in your life. Chances are, you'll continue to come back year after year. Tickets to Spoleto performances are available at www.spoletousa.org or by calling (843) 579-3100. Established in 1979, two years after its sister festival, Piccolo Spoleto's mission is to provide access to the Spoleto Festival USA experience for everyone, regardless of their economic or social circumstances. Running concurrently with Spoleto, Piccolo is produced and directed by the city of Charleston Office of Cultural Affairs. It offers a variety of arts and cultural programs, including theater, blues, jazz, chamber music, early music, dance, literary and visual arts, showcasing exceptional local and regional artists, writers and performers. An array of family-oriented events introduce kids to the world of the arts. 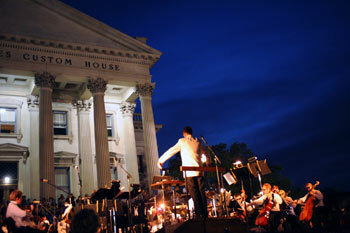 Many Piccolo events are free, including the Sunset Serenade at the Customs House, a concert by the Charleston Symphony Orchestra and the Piccolo Spoleto Festival Orchestra, with the Charleston Ballet Theater performing "Wings"; the Children's Festival; a block party with music from the 1960s on up; and the Piccolo finale – Motown Madness. Tickets are available by calling (866) 811-4111 or visiting www.piccolospoleto.com. This year, tickets may be purchased at the official Piccolo Spoleto box office at the Charleston Civic Design Center adjacent to Gaillard Auditorium and at the Charleston Visitor Center, 375 Meeting St.